For the gifts you give! Moving into the holiday season we ask if you would please consider giving the gift of a memory. A hand print, one last thing that their loved one touched. A lock of hair, that still smells just like them. A warm quilt to reflect on the years gone by. We will be hosting a Spring Meet & Greet benefit dinner on Saturday, April 9, 2016. Advanced ticket purchases may be made through this site. Please indicate "ticket purchase" and quantity in the comments. Advanced purchase adult tickets are $30 and include a catered meal and alcoholic beverage. Advanced purchase child tickets are $20 and include a child's meal and soft drink. The Benjamin Clark Foundation was founded following a dramatic increase in child death cases in 2013. 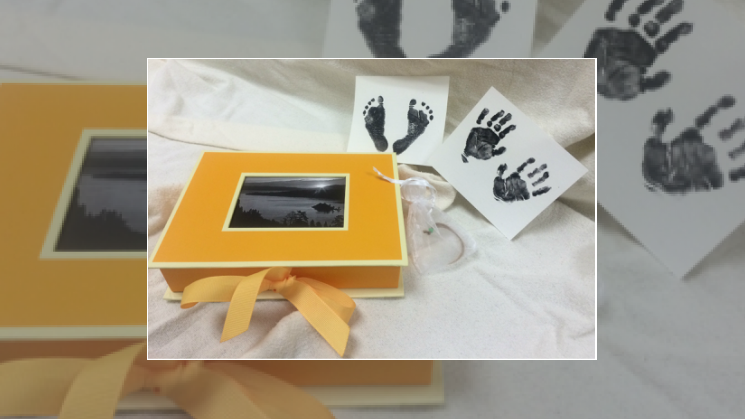 The investigators of the Washoe County Medical Examiner's Office began making memory boxes for families following the death of a child. The memory boxes contain a hand print, a foot print, and a lock of hair from the child, inside of a small tasteful box. The memory box provides the families with one last thing from their child. The investigators paid for the boxes and supplies out of their own pockets. We have created The Benjamin Clark Foundation in order to provide the supplies for the investigators to continue their beautiful work. Since that time, the Benjamin Clark Foundation has increased the scope of their bereavement gifts to include Legacy Handprints for adults leaving a family behind and Memory Quilts for seniors who have lost their life long partner. It is the ultimate goal of the Benjamin Clark Foundation to open a bereavement center in Northern Nevada.